Most of us look forward to summer, but for allergy sufferers this time of year can often be very uncomfortable. There are ways to reduce the impact of allergens in the home, however, so read on for some useful tips and tricks! The American Association of Asthma and Immunology defines the word allergy as: “a chronic condition involving an abnormal reaction to an ordinarily harmless substance called an allergen.” Those of us who suffer from allergies produce an immune response to what our bodies see as foreign invaders- these irritants can be anything from mould and dust mites in the home to pollen brought in from outside, the latter becoming a particular problem for hay fever sufferers during the summer months. Unfortunately, despite the wonders of modern medicine, there is no way to completely stop these symptoms if you suffer from allergies. Many people buy products such as antihistamines to help minimise the immune response to these foreign bodies, but not enough people think about how they can prevent allergens from interacting with them in the first place. We’ve put together some practical tips to help you do just that! Getting a vacuum with a HEPA-rated filter is a must if you suffer from allergies. These filters prevent the vacuum from releasing any of the dust you have just sucked up back into the air, ultimately ending up in your nose or the back of your throat! Mould is one of the major triggers of allergies, and it thrives in damp, warm environments like your bathroom. Even with regular cleaning mould can form in various parts of the bathroom. This site has some great advice to help you tackle this problem. Mould doesn’t just form in the bathroom, and prevention is the key to tackling many cleaning jobs. If you get a dehumidifier for your home it will reduce the amount of moisture in the air, which in turn will reduce the risk of mould formation. The other steps won’t mean much for your allergies if you don’t have your carpets and upholstery professionally cleaned at least once every year. 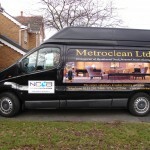 At MetroClean we have invested in all the best equipment to provide an efficient, deep clean that will remove allergens from your home. Our steam powered carpet cleaning machine boasts an incredibly powerful extractor pump and two super efficient vacuum motors containing more power than the standard vacuum motors found in the previous high performance machines put together! It reduces set-up and packing away times drastically so our customers can get back to their day with minimum disruption and with as little exposure to irritating allergens as possible! Call our dedicated service team on 0151 281 7466 today for advice on your cleaning requirements or to book a free, no-obligation quote. Our service coverage includes: Aigburth, Allerton, Belle Vale, Bowring Park, Broadgreen, Childwall, Garston, Gateacre, Grassendale, Hale, Halewood, Hunts Cross, Huyton, Mossley Hill, Old Swan, Speke, Wavertree, Skelmersdale, Burscough and Southport. 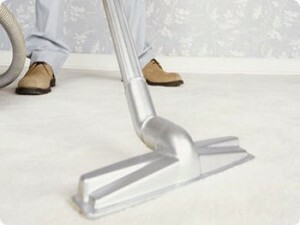 ← Steam carpet cleaning can provide you and your family a healthier home to live in!